Turf Moor has been the home of Burnley Football Club since it opened in 1883. The ground is located on Harry Potts Way, a location named after the club’s longest serving manager. It had a slight claim to fame in that it was one of the final grounds in England to boast the location of the player’s tunnel and dressing room behind one of the goals until they had to be covered in seating for the 2014-2015 season when the club was promoted to the Premier League. When Turf Moor was first built there weren’t any stands and it was just a pitch that people gathered around. The first stand wasn’t built until 1885. The entirety of Turf Moor was rebuilt after the Second World War at which point it had four stands erected. There were further redevelopments to the ground in the 1990s when the Taylor Report ruling meant that football stadiums had to be all-seated affairs. Turf Moor is built in a typical ‘English’ style, with grandstands on all four sides. The David Fishwick Stand, which houses the away supporters, is a single-tier as is The Bob Lord Stand. The James Hargreaves Stand and The Jimmy Mcilroy Stand both have two tiers. The James Hargreaves Stand - This stand was known as The North Stand when it first opened and is still called that by most of the Burnley fans. It’s the largest of the four stands and the two-tiers are split by hospitality boxes. The Jimmy Mcilroy Stand - The upper tier of this is the designated family stand. The Bob Lord Stand - This is the part of the ground that hosts the dug-outs, the technical areas and the executive lounges. Interestingly, the lounge was built with the money Burnley made from the sale of Martin Dobson to Everton. 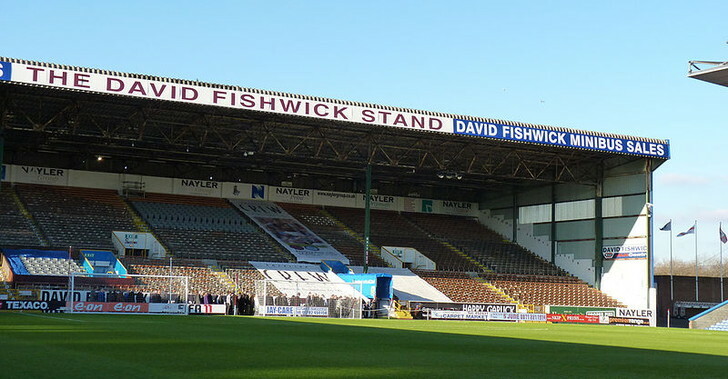 The David Fishwick Stand - The oldest part of the ground, this stand was originally called The Cricket Field Stand. Like most clubs, Burnley have a categorisation process for their matches. Unlike most clubs, though, they only have two categories and they have labelled them either Silver or Gold matches. Obviously whether the opposition is counted as Silver or Gold depends on whether Burnley consider them as difficult or interesting opponents! You’ll also pay a different amount of money depending on where in the stadium you wish to sit and how old you are. The best place to head to if you want to buy tickets for Burnley matches is the club’s official website. There’s also the possibility to buy them over the phone if you’d prefer, and there’s a box office at the stadium where you can pick up tickets from. Burnley is located in the heart of Lancashire, so it’s easy enough to get to from pretty much anywhere in the country. Here are some different ways to get there, though, just in case you want a bit of guidance. Train - There are two train stations in Burnley, with Burnley Manchester Road the closest to the ground. It is within say walking distance of Turf Moor and you’ll see the stadium looming in front of you when you get onto Centenary Way. From Burnley Central you’ll need to walk a bit further, following the signs to the town centre and heading left at the Gala bingo hall. From there you’ll be on pretty much the same path as if you’d travelled to Burnley Manchester Road. Bus - Because of the ground’s location close to the centre of the town, there isn’t really any need to get a bus. In fact, the bus station is just off Centenary Way near to the stadium. Car - From the East exit the M65 at Junction 12 and follow the signs to Burnley North. From the West you’ll leave the M65 at Junction 9, signposted to Halifax, and turn right at the roundabout, going over the motorway. If you’re coming from the North or South then exit the M6 at Junction 29 and get onto the M65. You’ll leave that at Junction 10 and follow signs for Towneley Hall until you go past Turf Moor. By Air - There are four airports that could be reasonably labelled as being close to Burnley. Leeds-Bradford Airport is about 38 kilometres away, Manchester Airport is around the 50 kilometre mark, Blackpool International Airport is the same sort of distance and Liverpool John Lennon Airport is the furthest away at nearly 70 miles. Taxi - It’s less than a mile from the centre of Burnley to the stadium, so you’ll be in a taxi for around two minutes if they agree to take you! You’ll end up paying about £5 for that journey. There are restrictions on the majority of the roads around Turf Moor, so do be careful if you opt to go for on-street parking. There are a number of public parking areas in the city, though, so you’ll find somewhere to leave your car if you’ve chosen to drive to the city. The Best Western is about two and a half miles from Turf Moor and has a restaurant and bar, a fitness centre and an indoor pool. There’s also a picnic area and a conference space as well as free Wi-Fi and free parking. More details. The Norwood Guest House is a bit further afield, six miles away to be exact, as it’s located in Accrington rather than Burnley itself. It’s a lovely, boutique hotel that offers free Wi-Fi, free parking and breakfast. More details. The Pendle Inn is a nice pub guesthouse with a restaurant, lounge, games room and luggage storage. It’s around five miles away from Turf Moor, so it might a better choice for you if you’re considering driving. More details. About ten minutes drive from Turf Moor but located near to Nelson station on the same train line as Burnley’s two central stations, The Lord Nelson is a bar that specifies in showing live sport. Burnley Cricket Club has on-site parking and welcomes supporters of both teams. There is always a good atmosphere here as well as cheap prices on drinks and food, plus it’s the closest of the pubs to Turf Moor. The Bier Huis is a CAMRA favourite and offers up to six cask ales or ciders at any one time. They also do good food, so you’ll be able to stock up your tummy before you head to the ground. The facilities at Turf Moor are very good for a stadium that was completed in 1883! You’ll find concourses with places to buy a bite to eat or get a drink and the views of the pitch from most places in the ground are unrestricted view. The Neville Gee 1882 Lounge - This is an open plan lounge that offers an unrivalled match day experience for Burnley fans. You’ll enjoy a behind-the-scenes tour of the ground with a Clarets legend, a match day host, pre-match competitions in which you can win club memorabilia, a three-course carvery meal, a gift, half-time cheese and biscuits and a pay bar facility. The Jimmy Adamson Suite - This lounge is located in the Jimmy Milroy Stand and you’ll receive a one-course meal, half-time refreshments, a padded seat and a match day teamsheet. There’s also a pay bar facility for all of your drinking needs. Whether you’re hoping to have a private dinner party for ten guests, a formal dinner night for around 150 people or or a large party for up to 550 people, Turf Moor will be able to accommodate you. The ground is able to host any event that you could reasonably expect them to, including business meetings and, more excitingly, weddings. For the big Burnley fans out there why not think about celebrating your big day with a view of the Turf Moor pitch? The tour of Turf Moor takes in the 1882 Lounge, the Chairman’s Lounge, the club’s trophy room and other areas that you’d expect to see from a club tour. You’ll go into the hospitality area, see the home team’s dressing room, walk down the player’s tunnel and have a sit in the dugouts. You’ll even get to spend a little bit of time in the police cells! The tour will cost you £10 if you’re an adult and £5 if you’re under-16. The entire thing lasts about 90 minutes and you can do a tour on Thursdays or on non-match day Saturdays. You have to give the club advance notice if you want to do the tour, though, so don’t just rock up and demand to be shown around the ground! Plans to build a new museum on the Turf Moor site were unveiled in 2014 but it has yet to be opened. We’ll update this section if and when that changes. Burnley are known by the nickname of ‘The Clarets’ owing to their kit that is dominated by that colour. They actually took on the kit in homage to Aston Villa who, in 1910 when they made the decision to do so, were the most successful team in the country. The hope was that the kit of such a successful team would inspire the Lancashire club to perform to a higher level. The club have twice won the Football League championship, once in the 1920-1921 season and once in the 1959-1960 season. They won the FA Cup in 1914 and have twice lifted the Community Shield trophy, first in 1960 and then again in 1973. In 1961 the Clarets reached the quarter-final of the European Cup. As a football club Burnley have a number of claims to fame. They are one of only three clubs to have won all four of the top divisions in England, alongside Wolverhampton Wanderers and Preston North End. Burnley is also the smallest town in England that boasts a team that has won the First Division. They were the first club in the world to build a training centre next to the stadium, in order to ensure the development of youth players. Turf Moor is a stadium filled with history. Burnley played their first match there on the 17th February 1883 when they lost 6-3 to a local side called Rawtenstall. The stadium was also the first football ground to be visited by a member of the British Royal family when Prince Albert Victor opened a nearby hospital in 1886. 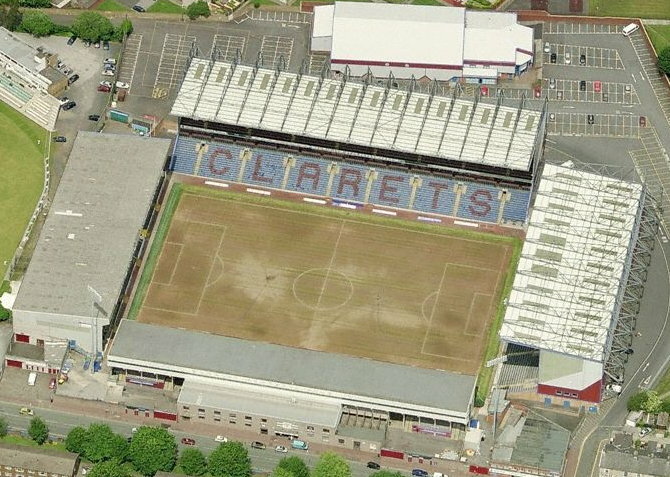 The ground has not been used solely for Burnley matches. It was the venue for an FA Cup semi-final in 1924 and in 1927 it hosted an international game between Wales and England. It has also been used to host European Under-19 and Under-21 Championships matches. 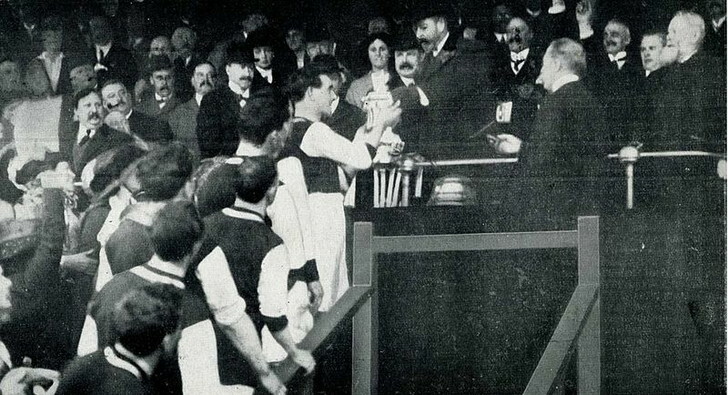 Though football has been the main sport played at Turf Moor since Burnley moved in there, the first sport played on the site was cricket, which took place as early as 1833. The site was also used as the location for horse racing in 1840. Burnley FC were invited to move to Turf Moor by Burnley Cricket Club in 1883. The first Football League match took place there on the 6th of October 1888 when the home team beat Bolton Wanderers by four goals to one. In 2014 the club announced plans to redevelop parts of Turf Moor, including the addition of a museum and club shop, though the specifics of when hasn't been decided yet. There are no other plans to develop things at present, though it’s likely that Burnley will make small changes to gradually improve the stadium rather than sweeping changes to alter things all at the same time.